Scott Shattuck is the owner of Scott Shattuck Media where he arranges and edits a cappella recordings. He became interested in these recordings while a teenager. At Brigham Young University, he was part of Vocal Point from 2012 to 2015 and has done recording, mixing, arranging, and editing for the group. He has also done work for a cappella groups such as UVU Voiceline, Ball in The House, BYU Noteworthy, Beyond Measure, Duly Noted, UPenn Dischord, and ReMix A Cappella. He has also done work for Peter Hollens, Ben Bram of Pentatonix, Dallyn Bayles, McKay Crockett, and others. 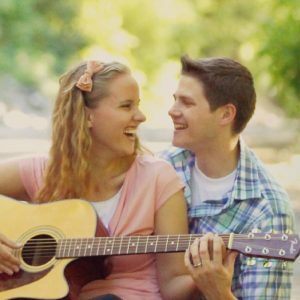 Scott and his wife Ryceejo have a YouTube channel Scott & Ryceejo where they post videos of clean, family friendly songs including Disney mash-ups, live streams, and show behind-the-scenes. Their subscriber list is growing and they have almost three million views. This page was last edited on 11 July 2018, at 20:00.